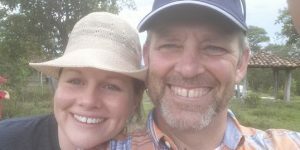 Pappa T would like to introduce you to Ashley and Julia Williams who met in Honduras in 2000 while on separate mission trips. 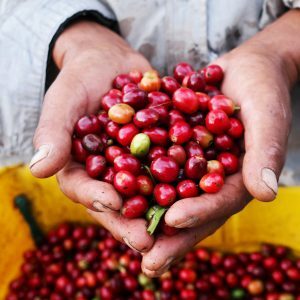 They “accidently” bought their first coffee farm when purchasing land to build homes for Honduran families. 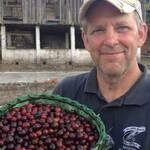 With an increasing interest in coffee and further projects in Honduras, the Williams temporarily moved their family to their coffee farm in Cerro Bueno, Honduras in 2014. The past four years have been full of learning and mistakes and beauty and an ever expanding vision for the farms and surrounding communities. 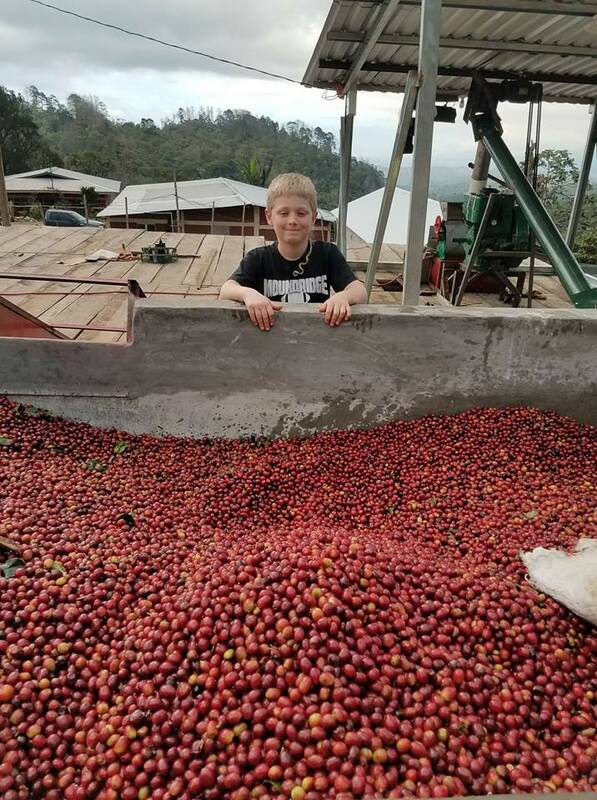 Eili Williams helping dad get the coffee cherries ready for de-pulping. Jonathan and Eli have spent the past four years exploring every inch of the farms. And causing their mother (Julia) great worry as they wield their machetes and scale the mountain sides! They are both great help in the coffee operation, most of the time willingly! On more than one occassion, Eli has sighed deeply and said, “Coffee! Everything is always about coffee!” Though they have been required to make some sacrifices in this crazy venture; they have also had some incredible adventures. Ashley has poured his blood, sweat, tears, and prayers into Legacy Farms Coffee. This work is truly a passion. 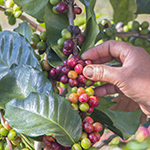 What began as a short term stay in Honduras to establish a commodity coffee farm has evolved into a consuming effort to produce excellent coffee. The challenges of farming and the volume of learning has been staggering and daunting. But Ashley loves a challenge and enjoys experimenting with new ideas. So to close out this introduction! 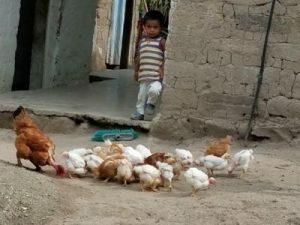 I would like to invite each of you to help Ashley and his family continue to support the Cerro Bueno Valley of Honduras through the purchase of their coffee. Each lb you purchase goes towards supporting the Legacy Farm helping build a sustaining community in Cerro Bueno. One of the efforts Pappa T and Mamma T enjoyed was hearing of Ashley’s son Eli waking up one morning realizing that most of the people they saw every day in Honduras did not eat as the Williams family did, their then four year old son Eli said, “Why don’t we give them chickens?” Over the last 4 years this has become a favorite project of Ashley’s. They buy day old chicks, and Jonathan and Eli feed and care for them until they are two months old. The families who receive the chicks look forward to a steady supply of eggs and the potential of hatching more chickens one day. Eggs could also be sold and the feathers can be used for stuffing pillows and the poop has become fertilizer for crops. Brewing a great cup of coffee depends on a number of things such as the quality of the coffee bean, the quality of the water being used, the type of brewing being done, and the grind of the coffee. Now quality of bean and water is something you can easily take care. Just use good quality beans and pure water. However the relationship between the grind of the coffee and the type of brewing being done is more detailed and could use a little explanation. Now we all know that we make coffee by passing hot water over crushed coffee beans. However for it to really work well we need to understand just how long the water should be passing over the beans. The purpose of this article is to help you understand how to match your coffee’s grind to the type of brewing you are doing in order to make the best coffee possible. Generally speaking, the ‘soaking’ time relates directly to how coarse the coffee is ground. This means that smaller coffee grinds need less contact with the water, and coarser grinds need longer contact. Espresso coffee is only exposed to water for 20-30 seconds and as a result is made using extremely fine grind coffee. 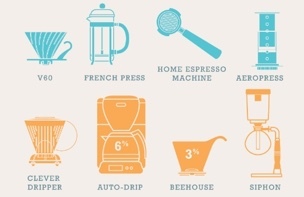 A French press coffee maker can take as much as 4 minutes and uses an extremely coarse grind. If coffee is left contacting water for too long for its grind size, unwanted extracts emerge and make the coffee taste bitter. Of course if the grind is too large and the water passes very quickly (like using french press grind in an espresso maker), very little of the caffeine and flavors are extracted and will result in a poor flavor. Of course filters play an important role in managing the balance between over and under brewing your coffee. Not only do they keep the grind out of your cup, but they also control how fast the water passes over the grinds. Paper filters are the most common, but many people are also using metal varieties. Paper filters are quite good. However they can absorb some of the coffee flavor, and some people claim they can taste the paper in the final coffee. Metal filters are normally made from stainless steel or gold plated mesh. They have very fine weave and filter out the coffee grinds very well. They also do not alter the taste of the coffee at all. Metal filters are also more environmentally friendly than the paper alternative. Metal filters you will need to clean after each use to ensure it does not clog or alter the taste from stale coffee still in the metal filter. Whichever you choose, be sure to buy decent unbleached filters. Poor filter quality will alter the taste of your coffee. Brewing a cup of coffee is not that hard. Brewing a great cup takes a little more understanding, but isn’t any harder. Start with fresh beans and good clean water and then match your brewing style to the proper grind and then mess around with the exact proportions and pretty soon you will be brewing killer coffee every time. I generally coarsely grind 40 grams of coffee, wet the filter before putting ground coffee in filter. Then wet grounds with 60 grams of water and allow the coffee to bloom for 30-40 sec. Finish with another 590 grams of water. Allow for all water to finish dripping through filter and then poor your Fresh Cup of Coffee and Enjoy! We hope this is helpful in your next coffee brewing adventure with TnT Coffee Roasters Fresh Roasted Coffee! Be sure to order today! Pappa T’s cousin Ron Abernathy has a Bee Farm where he produces Pure Honey! We have added 3 Choices of Honey to our online store! Honey is a great way to sweeten your coffee if you are looking sweeten things up! Honey is also good for boosting immunity and cardiovascular health. He has a small family-run apiary located in central Illinois utilizing chemical free beekeeping practices to harvest the purest honey possible. 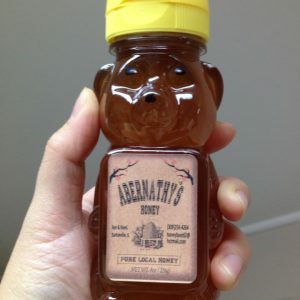 His honey is raw (non-pasteurized) and lightly filtered to retain all of its beneficial properties. 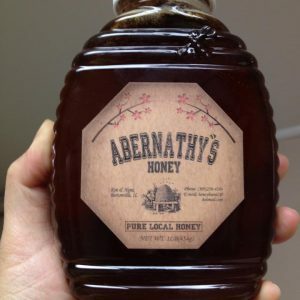 All the honey produced by Abernathy’s Honey is always raw and filtered only once so it still contains all of the pollen, enzymes, propolis, vitamins, amino acids, minerals, and antioxidants naturally found in the hive. 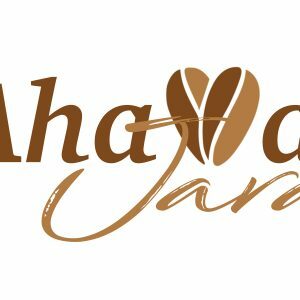 Order your Fresh Roasted Coffee and Pure Honey TODAY! 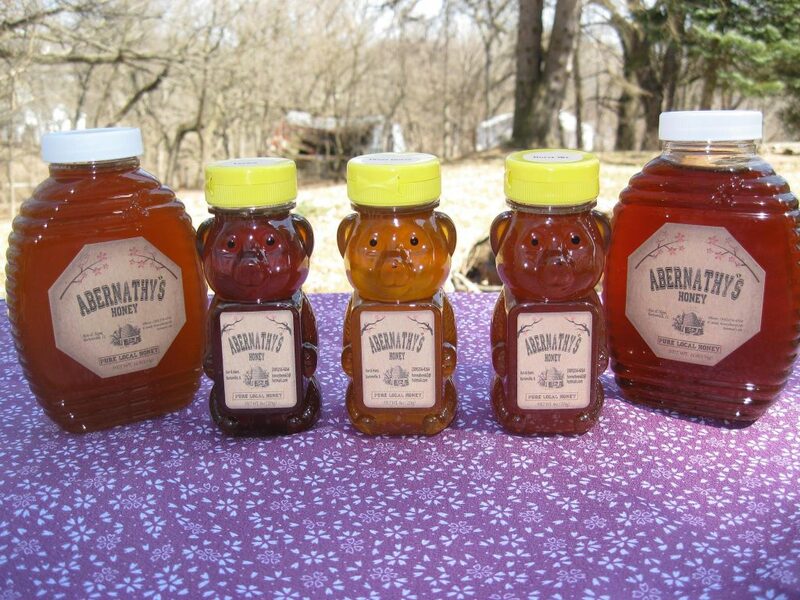 Below are the three types of Abernathy’s Honey we currently have in stock. Clover honey has a pleasing, mild taste. Clovers contribute more to honey production in the United States than any other group of plants. Red clover, Alsike clover and the white and yellow sweet clovers are most important for honey production. Clover honey has a pleasing, mild taste. The clover in our clover honey include white Dutch clover, white blossom clover, and yellow blossom clover. Clover honey has a sweet, flowery flavor and a pleasing mild taste. Wildflower honey is often used to describe honey from miscellaneous and undefined flower sources. Derived from a variety of wildflowers largely golden rod and plants which are blooming during the summer months. It’s a thicker honey and the taste varies from year to year based on what’s in bloom. This honey has a delightful taste and is darker in color. Darker honey has more vitamins, minerals, and antioxidant properties compared to lighter honey. Strong rich deep tasting honey. The Black Locust tree, which is sometimes called “American Acacia,” is one of the earliest trees to bloom, and thus one of the bee’s first sources for nectar and pollen after coming out of winter hibernation. This honey is light, clean, and very aromatic and floral. Be sure to get your order in today! Well we are all rested at TnT Coffee Roasters and thinking about our day ahead of us. The first day of the week is always a fun day for us. This is a normal roast day for us. 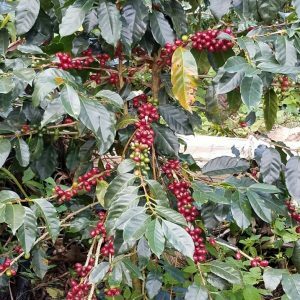 Many ask about how we get our coffee at TnT Coffee Roasters and Pappa T is going to take a minute to share with you how coffee is grown and gets to TnT Coffee Roasters. are grown in elevations between 4,500 to 6,000 feet. The argument is that the higher the elevation the better the coffee. We personally think elevation has some degree of influence in the flavors, but most often the soil and surroundings have more to do with the flavors of coffee. As we said earlier the families will hand pick these cherries. A good picker averages approximately 100 to 200 pounds of coffee cherries a day, which will produce 20 to 40 pounds of coffee beans. Each worker’s daily haul is carefully weighed, and each picker is paid on the merit of his or her work. The day’s harvest is then transported to the processing plant. Dry processing is an age old method, and still used in many countries where water resources are limited. The freshly picked cherries are simply spread out on huge surfaces to dry in the sun. In order to prevent the cherries from spoiling, they are raked and turned throughout the day, then covered at night or during rain to prevent them from getting wet. 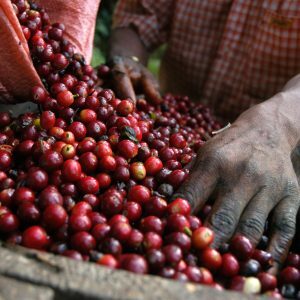 Depending on the weather, this process might continue for several weeks for each batch of coffee until the moisture content of the cherries drops to 11%. Wet processing removes the pulp from the coffee cherry after harvesting so the bean is dried with only the parchment skin left on. First, the freshly harvested cherries are passed through a pulping machine to separate the skin and pulp from the bean. Then the beans are separated by weight as they pass through water channels. The lighter beans float to the top, while the heavier ripe beans sink to the bottom. They are passed through a series of rotating drums which separate them by size. 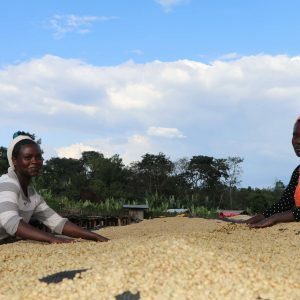 If the beans have been processed by the wet processed, the pulped and fermented beans must now be dried to approximately 11% moisture to properly prepare them for storage. Finally in the milling process the defective beans are removed either by hand or by machinery. Beans that are unsatisfactory due to deficiencies (unacceptable size or color, over-fermented beans, insect-damaged, unhulled) are removed. In many countries, this process is done both by machine and by hand, ensuring that only the finest quality coffee beans are exported. The milled beans, now referred to as green coffee, are loaded onto ships in either jute or sisal bags loaded in shipping containers, or bulk-shipped inside plastic-lined containers. 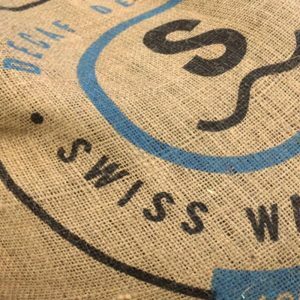 The standard bag of coffee shipped to the US is around 60 kg. Pappa T buys coffee broken down into 30 kg boxes. Once the green coffee beans arrive at TnT Coffee Roasters we inventory and roast a couple pounds to test the coffee for flavors. This is called cupping. Pappa T will often edit the cupping notes in the shopping cart so you the customer can find a coffee that matches your palate. As you can see many hours of preparation have gone into bringing you a “Little Love In Each Cup” of Fresh Roasted TnT Coffee. Order your Small Batch Personalized Fresh Roasted Coffee Today!